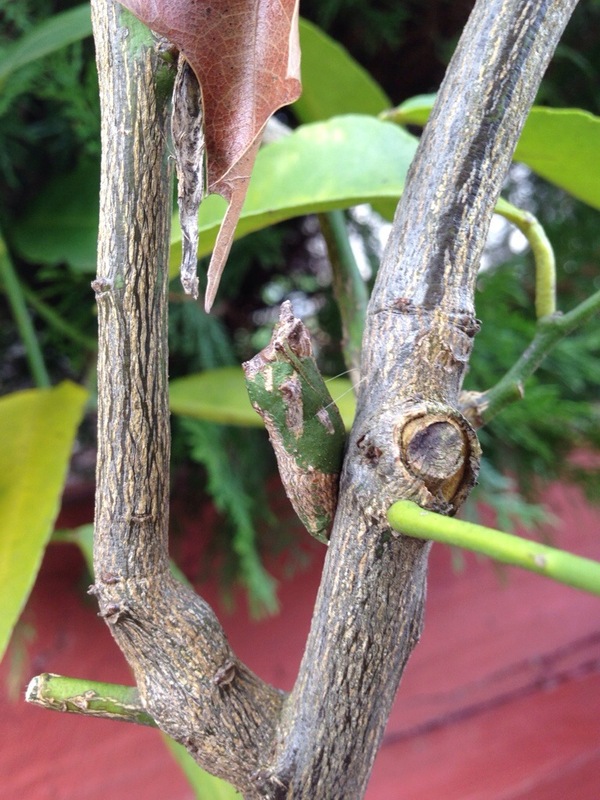 A while ago I added some photos of a cocoon I found on our Lime tree. It came from a little caterpillar that was feasting away on the leaves. It was a real joy to watch the caterpillar become a cocoon and blend in so well with the branches of the tree. 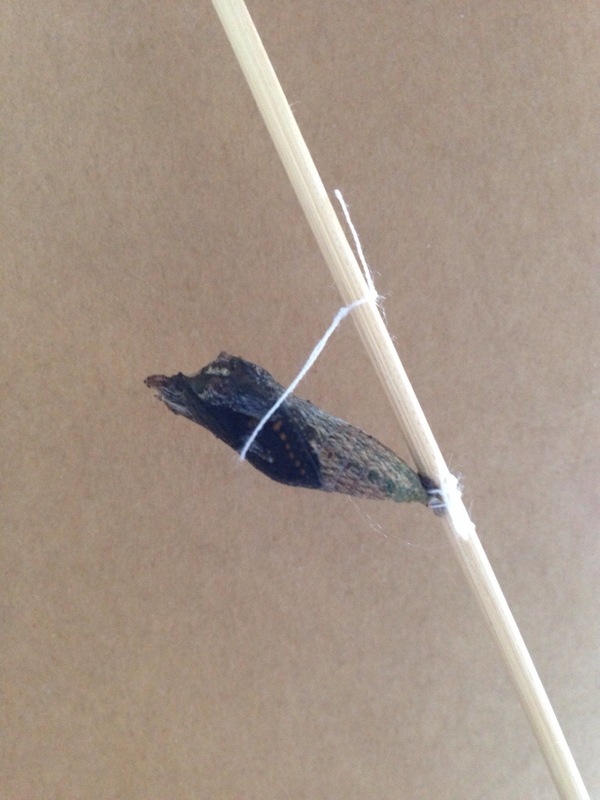 The only telltale sign of it even being slightly foreign to the tree itself was the silk thread that held pupa up. 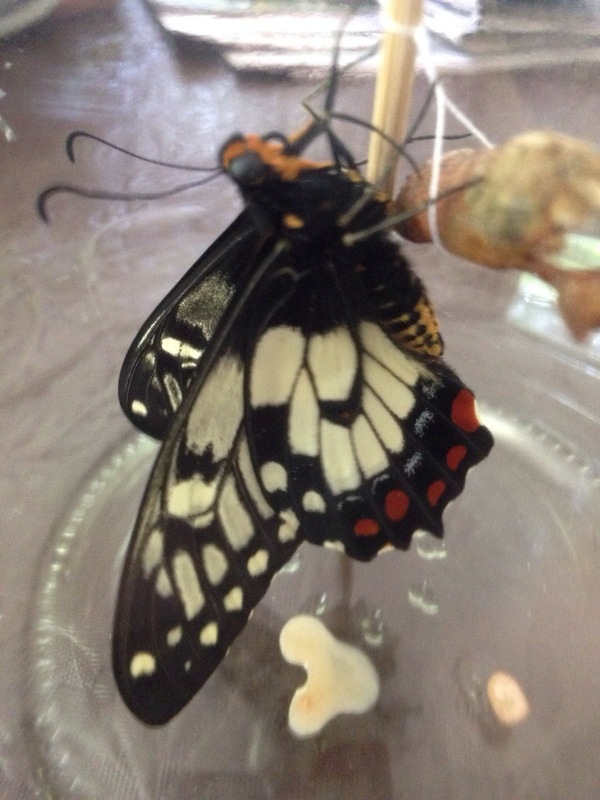 Five months later, it was an even greater joy to watch the cocoon become a butterfly. We brought it inside and put it in a bottle to watch how it developed over time. A few days ago, it started changing from green through to black – you could just make out the colours of the wings inside the thin pupa casing. 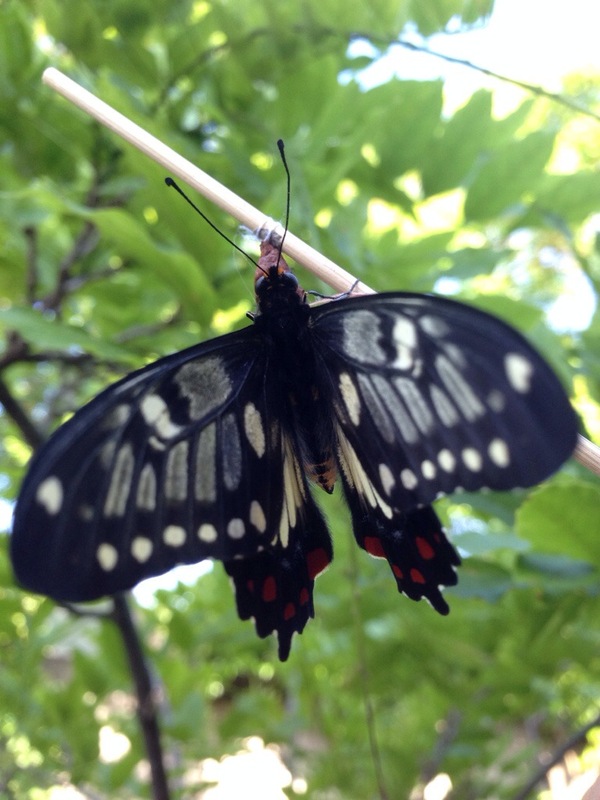 I have self identified this species as Papilio Anactus found commonly on Citrus plants. What I personally find so fascinating about the whole idea of the caterpillar, pupa & butterfly is not just that it’s a super cool part of nature – but more of the fact that by nurturing our garden, we are also encouraging and maintaining a habitat for wildlife as well.